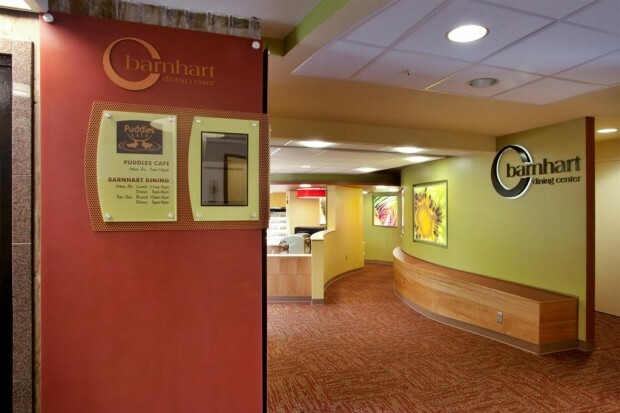 This project included a remodel of the kitchen, food preparation area, dining area and mezzanine into a new “grab-and-go” style cafe. 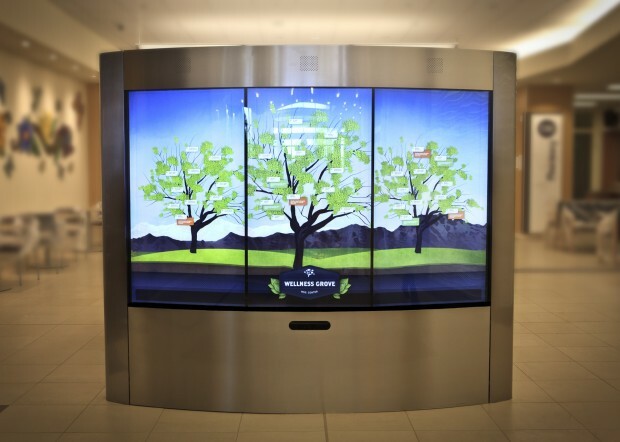 This interactive touchscreen display has six 55″ LCD screens, a Kinect motion sensing input device, and directional speakers. 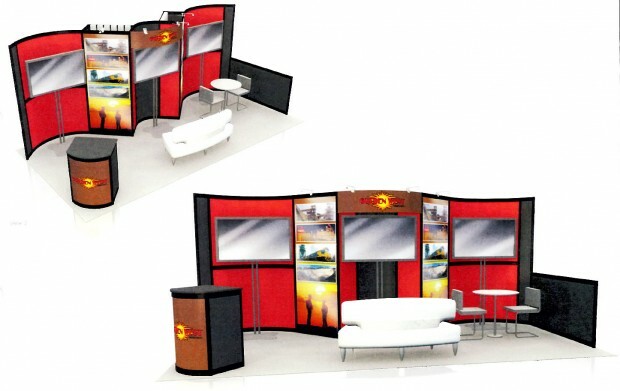 10’x20′ booth with curved walls, back lit graphic panel light boxes, and a small reception counter. 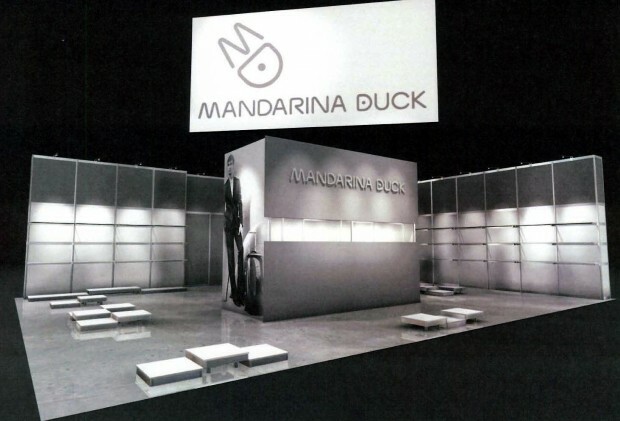 30’x40′ corner booth with a 12′ high back wall and central identity tower, display shelving, and display pedestals of varying heights.